In the kitchen of his namesake restaurant on West Lee Drive, 69-year-old Mike Anderson Sr. still shows up to work most weekday mornings, though he doesn’t stay quite as long as he once did. The glory days of his previous career spent on the gridiron are starting to catch up with Anderson, gradually wearing him down. “Football has come back to haunt me,” he says, with a slight shrug. In a sense, though, the game never really left him. 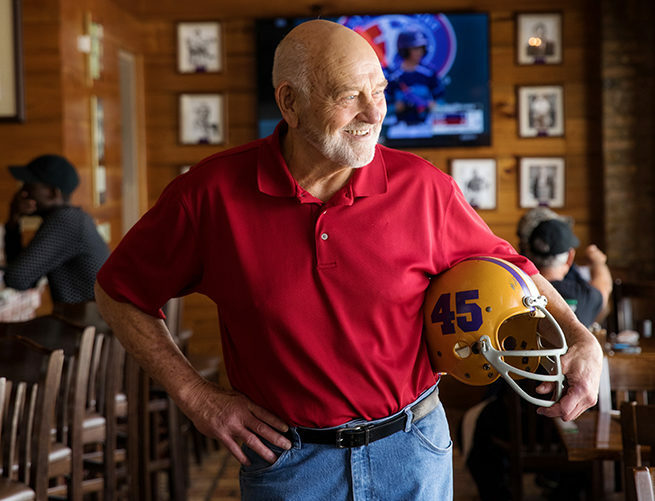 It’s become a part of who Anderson is and a major driver of his success, not only as an LSU football great but also as an iconic south Louisiana restaurateur. It’s also what has intrinsically tied him to one well-defined area, a short, two-mile radius in south Baton Rouge where his career can be traced. It begins in the Southdowns neighborhood where Anderson grew up and then moves a few blocks to Lee High School, where his football legacy began in the mid-1960s. About three miles to the northwest lies LSU’s Tiger Stadium, where Anderson became a consensus All-American linebacker and one of the greatest players in the program’s storied history, leading LSU to the 1970 SEC championship in his senior year. Just past the south gates of campus, on Highland Road, is where Anderson began his first business, College Town Seafood. Eventually, he transformed the business into a full-scale restaurant and relocated a few more blocks from campus to its current West Lee Drive location, where it continues to thrive today under its current name: Mike Anderson’s. 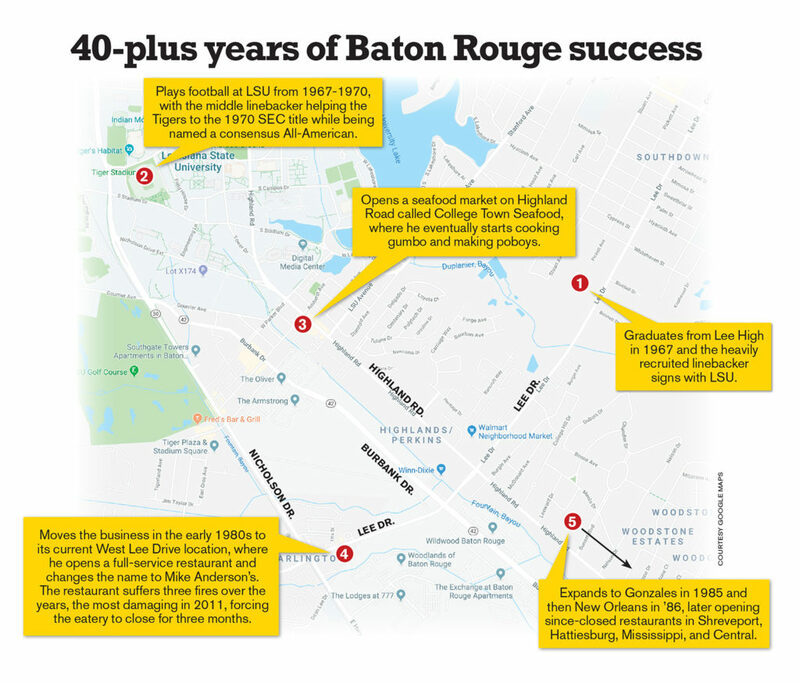 Several other locations have opened since, but the Baton Rouge spot, as it has for the past 40 years, remains the bread and butter of his business. Few restaurants in Baton Rouge have stood the test of time as has Mike Anderson’s. It’s become something of a local tradition, intertwined with its founder’s alma mater down the street and holding a special significance to locals, and even with other high-profile Tigers: Current football coach Ed Orgeron, for instance, ranks it among his favorite spots in town, while Hall of Fame baseball coach Skip Bertman, a weekly regular, has his own special table in the back. To this day, people still drive past the restaurant during football season to check on who Anderson thinks will win the upcoming LSU game and by what score, which is posted for all to see just under the eatery’s main sign. 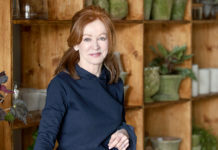 Much of the restaurant’s staying power stems from its founder, who approached the restaurant business much like he approached football—as a fierce competitor, never shying from a challenge. And the restaurant business holds its fair share of those. In its more than 40-year history, Mike Anderson’s has been through more than most could fathom: three fires, recessions, major hurricanes, a flood—none of it was enough to make Anderson give up, though. It’s not in his nature. “I don’t like to lose,” Anderson concedes, cracking a smile. He does know, though, when it’s time to hand over the reins. His son, Mike Anderson Jr., now handles much of the day-to-day responsibilities of the restaurants, along with two other family members and co-owners, Harry and Chip Robert, who have owned and operated the Gonzales location for 30 years. The Andersons and the Roberts also run a third location at the New Orleans Riverwalk. 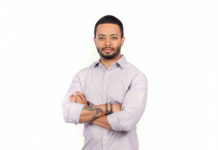 Anderson Jr. admits it’s been quite a lot to take on, especially as his father’s health has declined in recent years, adding doctor’s appointments and other priorities on top of running restaurants. 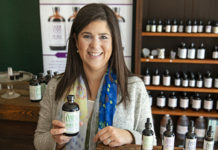 But things have been looking up lately, he says, now that his father is getting better, which has been both his main concern and his source of inspiration to keep the business running smoothly. As a kid, Anderson Jr. remembers his dad working long hours to get his business off the ground, often not returning home until well into the night. When he opened College Town Seafood in 1975, Anderson was a rookie in the food business. He thought south Baton Rouge could use a seafood market, so he opened up a small business along Highland where he sold raw seafood and began cooking gumbos and making poboys. In those first few years, though, Anderson struggled to make ends meet. “He didn’t even have a knife to cut the bread,” his son recalls. That didn’t keep Anderson from making poboys, often ending up with way more sandwiches than he could actually sell. But he didn’t mind—what he did with the leftovers made for a good story. 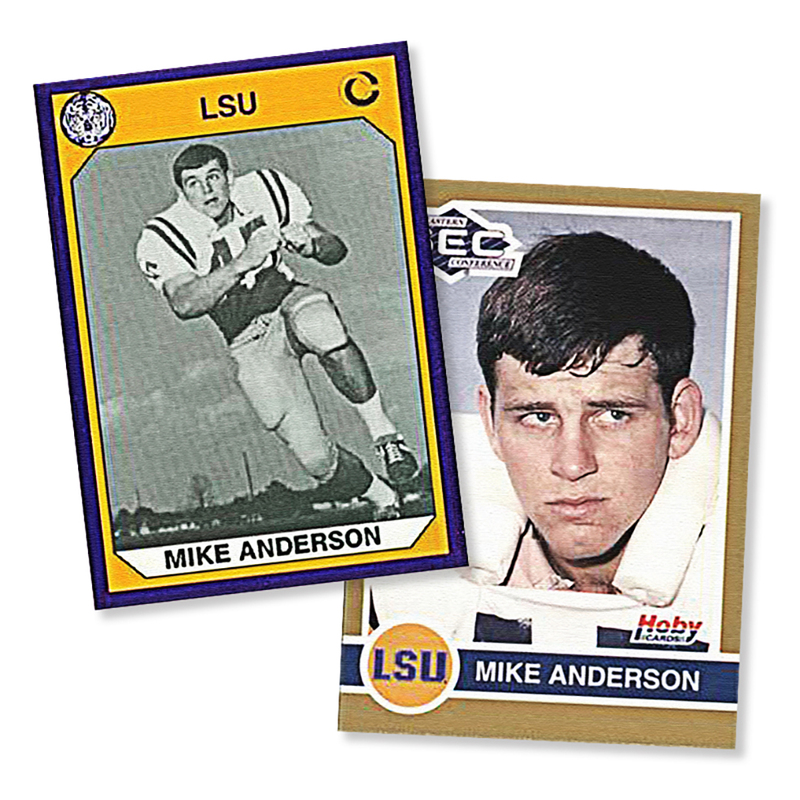 After Saturday night football games, as fans trickled out of Tiger Stadium and cars began to line up along Highland Road, Anderson would meet them on the side of the road in front of his small store, handing out free poboys to people through their car windows. Just five years earlier, it was Anderson who those same fans were cheering on in Death Valley. And now here he was, handing them free poboys after the game. But he didn’t care—his football career was over. It was time to move on to his next chapter and Anderson was doing anything it took to make it work. “If anything, I gained a few new customers out of it,” he says with a laugh. His business has come a long way since then. After the Highland Road building was condemned when Anderson discovered about six feet of water underneath the foundation, he moved to West Lee Drive, quit selling raw seafood and opened a full-service restaurant, called Mike Anderson’s, in the early 1980s. 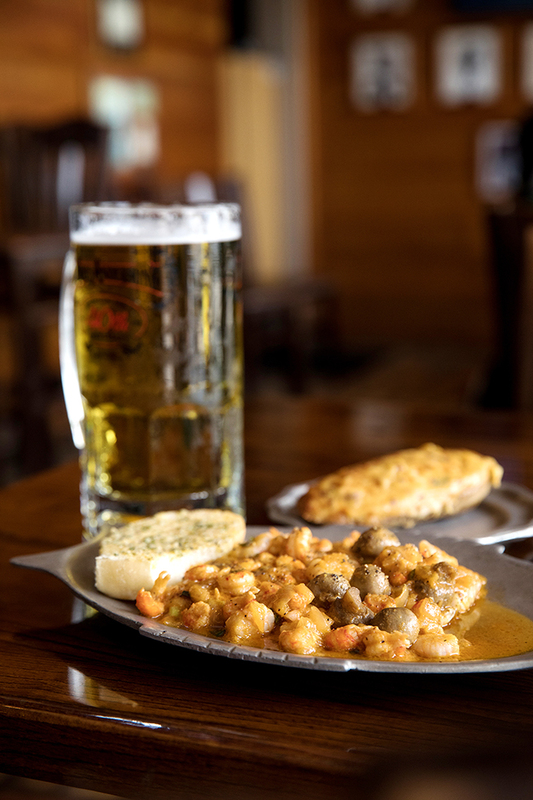 Soon enough, in a town with few restaurants to rival it at the time, Mike Anderson’s became the place to be. Whether you were going on a date, having drinks after an LSU game, dining before a fraternity formal or hosting a party, there was a good chance Mike Anderson’s was on your short list. And as his business thrived, Anderson has been there for it all, although typically in the background, cooking in the kitchen or shucking oysters. He says the customers aren’t coming for him anyway. 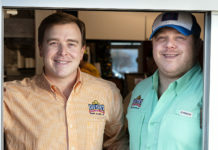 Over time his restaurant expanded beyond the Capital City, as Anderson and his team opened locations in New Orleans, Gonzales, Shreveport, Central and even Hattiesburg. At its peak, Mike Anderson’s had as many as five locations running at once. Today, it’s down to three—Baton Rouge, Gonzales and New Orleans—all of which boast their own loyal following. Anderson and his son are still most heavily involved in the West Lee location, where it all began. They acknowledge that the business is a very different game today than it was 40 years ago. So many restaurants have flooded the market, with new ones seemingly opening each day. Mike Anderson’s challenge now is to stay relevant, something it never had to worry much about in the past. But just the fact that Mike Anderson’s has stuck it out this long—and still remains popular—speaks to its resiliency and bodes well for the future. The restaurant also has a unique advantage in being so closely tied to the university and, not to mention, having a living LSU football legend as its founder. Visiting SEC teams tend to frequent Mike Anderson’s for their share of south Louisiana fare while in town. The same goes for recruits. During football season, the entire LSU team will sometimes gather at the restaurant for a meal the night before a big game. Almost as if on cue, while wrapping up an interview with Business Report, Anderson Jr. gets a call from LSU. The voice on the other end of the line asks if the football team can eat at Mike Anderson’s the night before the first home game this year. He requests the back patio and asks whether it’ll hold about 150 people. His son assures it wasn’t, returning to the table after the call. 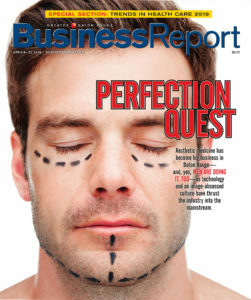 It’s simply business as usual at Mike Anderson’s. “That happens all the time,” the son says. Some of Anderson’s most popular dishes on the menu are his own recipes, which he tends to name after people who have worked at his restaurant. 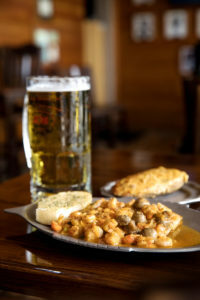 For example, The Guitreau—grilled Mahi-Mahi topped with crawfish and shrimp, sautéed in white wine—is a dish Anderson named after the maintenance man. And a cook was his inspiration behind a favorite lunch special called The Jason: crab meat wrapped in thin sliced fish fillets, deep-fried and topped with crawfish cream sauce. “Dad asked one of the cooks, ‘What’s your name?’ and then he named it after him,” Mike Anderson Jr. says. Immortalizing staff members on his menu is just one way Anderson recognizes and appreciates his employees, who, much like his old football teammates, are important parts in the success of the whole. James “Pepper” Rutland remembers that attitude well. As a former outside linebacker for the Tigers, Rutland knows what it’s like to play alongside Anderson. And before becoming teammates, he discovered what it was like to play against him as well. Like Anderson, Rutland went on to build a business career that mirrored, if not surpassed, the success he enjoyed in his football career. 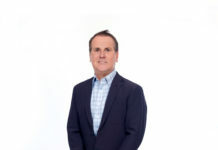 As the CEO and president of MMR Group, Rutland now runs a $650-million company based in Baton Rouge, which ranks sixth on Business Report’s most recent Top 100 Private Companies list. 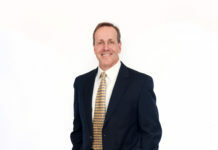 Rutland maintains that he learned as much about business and management skills as a student-athlete at LSU than he did anywhere else, and he suspects Anderson could say the same, based on the successful restaurant career he built after college. Without a doubt, Anderson will go down among the all-time greatest in LSU football history, Rutland says, but there’s much more to him than his sheer athletic ability alone. 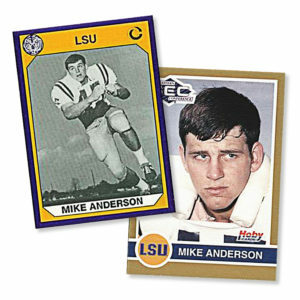 Reflecting on his football career, Anderson calls it nothing short of “unbelievable.” And despite his waning memory from one too many collisions on the field, he still distinctly remembers some of his favorite games, including the Auburn matchup in 1970 when he made a game-saving tackle on the goal line, a play which would go down among the best in LSU history. Those gridiron days did not come without a price, though, and Anderson filed a still-pending lawsuit against the NCAA and Riddell Inc., the maker of football helmets, claiming players were not properly protected or informed of the long-term effects of head injuries. But there’s no denying football-related injuries have taken their toll, and now as he nears 70 years old, Anderson has begun to give himself a break. That doesn’t mean you won’t still find him in the kitchen of his West Lee Drive restaurant. As he likes to say, it’s the best place for him.